Polar ambient has always been one of my favorite sort of sub-genres within the confines of the greater dark ambient genre. I’ve used this term in the past to describe works by artists such as: Northaunt, Ugasanie and Vinterriket. Winterblood, in many ways, could fit this classification as well. The music certainly begs of isolation and a cold despair, akin to those feelings brought on after many months cowering in a chilly cabin, waiting out the dark winter season. While the aforementioned artists take their inspiration from the far northern regions, Winterblood finds his in the mountainous regions of northern Italy. 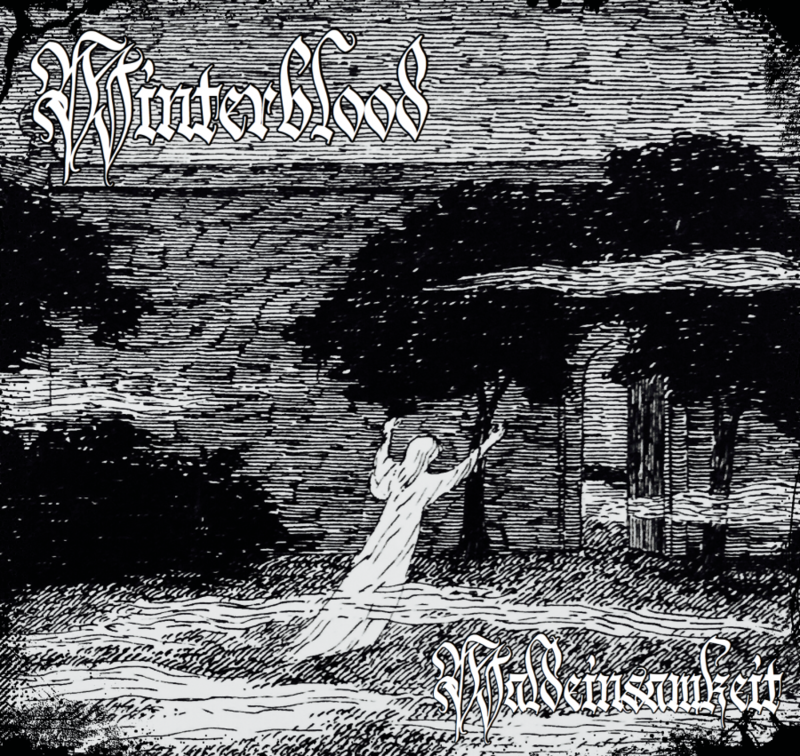 Where Winterblood truly captures my interest is in the way he seems to effortlessly meander between dark ambient and that ever growing, often notorious, genre of dungeon synth. Winterblood takes on a minimalistic approach to his music. Most often incorporating little more than a layer or two of synthesizer. This stripped-down approach helps promote those feelings of isolation in the cold. 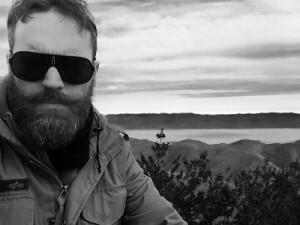 In the past he has also incorporated field recordings, bringing that biting winter wind right into the mix. Presently, on Waldeinsamkeit, Winterblood opts for one of his most minimal approaches to date. The first track, which is really the first part of what is considered to be one long-form track, split in two parts, is peaceful, slightly melancholic and simplistic. Older works of Burzum, on his first outings in the dark ambient / dungeon synth genres come to mind as a loose comparison. 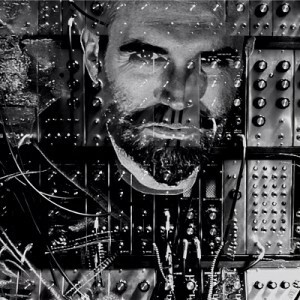 There is a gentle bass synth which creates a droning foundation throughout “I”. This is layered with a chilly sounding synth lead, which is often repetitive in nature, but manages to create the proper environment, and hold the listener’s attention over the entirety of its 20 minute length. As the album moves into its second half, “II”, Winterblood adds a bit more complexity to the work. A continuation of “I”, we still hear that underlying foundation of a single deep note, the same crystalline notes layered on top. But, the dynamics of these elements are increased here on this second half. The bass has a bit more fluctuation, the lead synth ups its pace. While still holding us in that cold winter trance, the second half of the album has just enough of a shift to renew the listener’s attention and interest, just when that renewal may be most needed. At the heart of Waldeinsamkeit is a simplistic approach to winter soundscapes. Fans of elaborate combinations of multiple instruments, pads and field recordings may not fully appreciate what Winterblood seeks to accomplish. Yet, those out there who find meaning and comfort in the stripped down elements of the dungeon synth genre, as well as much of the polar wing of dark ambient, will likely have a pleasant experience with Waldeinsamkeit. I, personally, found myself listening to this album on repeat for hours, which is no small feat when the content is so minimal and repetitive. Winterblood, continues to slowly creep up the ladder of the collective consciousness of dark ambient and dungeon synth fans. With each album, he steps a little bit closer to his ultimate goal, which appears to be the creation of the quintessential winter soundscape. Waldeinsamkeit, for me, is quite probably the best work to date by Winterblood. The lessons he’s learned over the last few years have coalesced into this album, which bathes in a genuine simplicity, a simplicity which avoids the pitfalls of many previous attempts at this style. If one is looking to reminisce on those chilly winter months, which have recently drawn to a close, Waldeinsamkeit is the air conditioning unit for your soul. If one is in the southern hemisphere, then this album is dropping at just the right moment to be the soundtrack to the coming winter.